Looking for restaurants with party rooms in Omaha and La Vista? You’ve come to the right place. We’d love to have our family serve your family. Read the Terms & Conditions before filling out the form. You will be asked to agree to the terms below. Reservations are not considered final until we get credit card number and confirmation. Reservations need to be accompanied by a credit deposit. We will charge all empty seats $10. 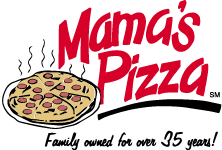 Patrons will be counted by Mama’s employees within 15 minutes of reservation. We will allow a buffer of 20%. If customer books for 20 and 16 show we will not charge (we will however pull the extra table for other customers). After that we will charge $10 per seat. Customer can lower party number up to 1 hour before party with no penalty. However we cannot guarantee a larger party. We will do our best, but no guarantee. There is no saving tables! Deposits will be handled by credit card only. We will also need an email address or cell number. We will send the agreement via email (or customer can get off website). This will confirm: DATE, DAY, TIME OF PARTY, # OF PEOPLE, LENGTH OF RESERVATION, We will send out confirmation day reservation is made and also day of party. Parties that do not show up will have cc charged $10 per empty seat. Customers must check in with manager before being seated at reserved tables. If entire party is not here within 15 minutes of reservations, we reserve the right to take the tables & empty seats for walk in customers. For example, if only 10 people are here for a party of 20, Mama’s will give the table away as needed. There is no saving tables! We appreciate your flexibility. We reserve the right to limit the length of time for the reservations to accommodate other business. This will be agreed upon when the party is booked. This will be generally be between 1 1/2 and 2 hours. We do NOT have extra tables for, food (pizzas etc) presents and cake/cupcakes. Tables are for customers and seats for customers only. We do not have the space to set up a buffet.. We can not afford to have customers go elsewhere because tables are being used for other purposes. It is critical that we have paying customers in seats. Thank you for understanding! If a customer requests party time gets moved, we cannot guarantee to hold party for different time. Customer can request a certain table, but there is NO GUARANTEE where party will be set. We set up parties that benefit the business throughout the day. We appreciate your flexibility. If party is going to be cancelled we need 24 hours notice. This allows us a opportunity to fill the spot with another reservation and plan our schedules. Cakes, cupcakes and ice cream are acceptable. Please no other outside food or drink. If a party wants to stay past allotted time, we will make every attempt to make that happen. However, we cannot guarantee it based on our other commitments. Customer must call store with a credit card number (securely held at store). Agreement needs to be signed and dated, then emailed or dropped off to store. Only then, will reservation be held. – La Vista: mplavista@gmail.com – Midtown: mpmidtown@gmail.com – West: mpwestomaha@gmail.com. These guidelines are simply enforced for smooth operation of the restaurant and to benefit all of Mama’s customers. We prefer not to have all these rules, however, due to past problems with some parties, we felt the need to implement a system. We sincerely appreciate your understanding and cooperation!!!! Submitting this form does not guarantee a reservation. Someone will contact you to collect credit card information and confirm your reservation.